Safety is an often overlooked topic sadly especially by the over zealous self installer who just wants to get his log burner hooked up to his chimney so he can sit in front of his glowing stove! This is why I would always recommend employing the services of a HETAS registered log burner installer, this is what they are trained and registered to do, and it’s their trade so to speak. Let’s start this discussion by looking at the fitted log burner in your home, looks great doesn’t it, but what hazards does it present to all in its proximity. Well of course the risk of getting burnt by falling ash or embers when you open the door to put more logs in. This is easily overcome by wearing a good pair of heat proof gloves and having nothing that is flammable in the immediate vicinity of your log burner. However, there is an unseen hazard which you also can’t smell, it’s known as carbon monoxide and can only be detected by a carbon monoxide alarm. 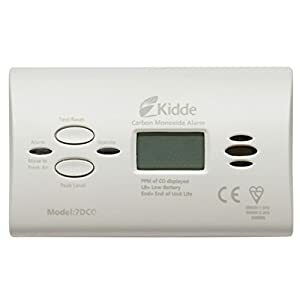 As far as log burning safety goes, a good, functional carbon monoxide detector is right there at the top of the list, it will save your family in the event of a carbon monoxide leak. One other thing to keep in mind is your chimney and flue liner (if you have one fitted). It needs to be cleaned at least once a year, preferably twice a year, in order to keep your chimney clear of any blockages that would prevent the escape of the burnt gasses given off by your log burner. Also, by keeping your chimney clean you will uphold the efficiency of your log burner. If you don’t get your chimney swept regularly, you run the very real risk of having a chimney fire which could cause untold damage to your home. Personally, I always get a professionally qualified Chimney Sweep in to clean my chimney. There are few reasons for this, the first being that he is qualified to do the job, he is trained to recognise any potential problems in the chimney and finally, he will give me an official certificate for cleaning the chimney. An invaluable document if you ever have to contact your home insurance after a house fire! But remember, there are many other aspects of log burning safety which you need to keep in mind which are related to the preparation of your logs, they are mostly common sense, but just take a second before you pick up that heavy tree branch, can you really lift it on your own without hurting your back!